So what do you do when you have some fabulous photos with lots of vibrant colour in them? I suppose you could convert them to black and white to make them easier to work with or utilize lots of white space with little bits of colour so the photos pop. 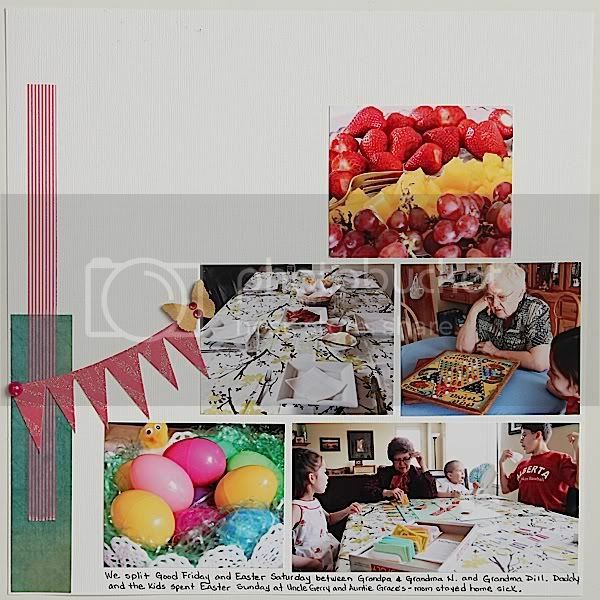 I let the photos be the main source of colour on this layout using just a couple of strips of Heidi Swapp Sugar Chic paper and Sugar Chic banner strips. 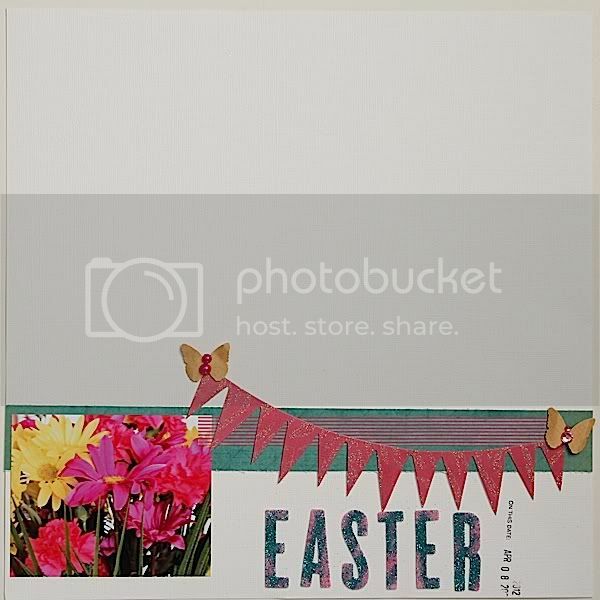 I've added some punched Martha Stewart butterflies along with Want2Scrap gems and pearls. The title alphas are DIY Thickers topped with AC Wow! extra fine glitter. It's a bit hard to the see but I've stamped the date with a Dear Lizzy roller stamp. A bit of hand journaling finishes it off!